With AMC’s series The Terror, we find a thriller with historic overtones, as it introduces us to a naval expedition through the Arctic circa the 1840s. This three-disc set includes all 10 of Season One’s episodes, and the plot synopses come straight from the AMC website. With a pilot episode, I really just look for something that establishes basic character and story information. “Broke” achieves those goals, though it starts slowly. After a sluggish first half, though, it offers more intrigue the rest of the way and points ahead reasonably well. Like “Broke”, “Gore” takes a while to get into gear, but it eventually develops some momentum. On the surface, it seems like a spotty show but it boasts intriguing elements. Should one expect “Ladder” to continue the pattern of episodes that take a while to get into gear? Yes, one should, and this trend frustrates. Still, half of an involving program beats none. Miraculously, “Punished” delivers a show that starts well and continues along that path. It focuses more on horror elements than usual, and these make it dramatic and impactful. Like most episodes, “Shot” tends toward character exposition in the first half and action in the second. Like most episodes, this makes “Shot” a bit spotty, mainly because I don’t yet find its characters to be especially interesting. As death carries off some and narrows the participants, hopefully this will change for the better. As much as I like individual aspects of Terror, I still don’t really find a way to dig into the characters. That becomes more of a problem as the year progresses – we should get more invested in the roles but I don’t yet feel that way. “Mercy” moves along elements well enough that this lack of character impact doesn’t quite turn into a substantial impediment, but it holds back the series’ potential. “Supper” takes the show down an inevitable path but not one that seems trite. It finally starts to develop the characters in a more satisfying manner as well. Given the nature of the series’ events, it makes sense that the men finally snap under pressure. “Clear” depicts this in a semi-predictable manner but it nonetheless delivers pretty good drama. With little time left in Season One, the men get more desperate and the body count increases. “Open C” manages a fair amount of intrigue as it pushes toward the finale. Because Season Two of The Terror will launch in 2019, one might think that means “Gone” brings a cliffhanger of sorts. Nope – instead, it firmly concludes the story it started with “Go For Broke”, as Terror’s second collection of shows will tell an entirely new tale. That causes me relief, as I really couldn’t figure out how this particular narrative could extend to another 10 episodes. “Gone” brings matters to a natural conclusion and acts as a compelling finish for the year. The Terror appears in an aspect ratio of approximately 1.78:1 on this Blu-ray Disc. Though not great, the movie offered generally good visuals. Sharpness was usually fine. A few shots could be a little soft, but not to a significant degree. Instead, the program normally appeared concise and accurate. I noticed no issues related to jagged edges, shimmering or edge haloes. No source defects marred the presentation, either. One wouldn’t anticipate bold colors from a show like this, and Terror went with a heavy blue feel speckled with orange/amber for interior fire-lit sequences much of the time. During the final one-third or so of the season, though, a desaturated khaki impression dominated. These choices seemed stark but effective. Blacks were acceptable, though they could be a bit inky, and shadows were decent. Nighttime shots became slightly problematic, as they tended to be a little too dark. Overall, though, the shows remained pretty appealing. The DTS-HD MA 7.1 soundtrack of Terror also worked fairly well, as the series’ natural setting offered for some immersive material. This meant Arctic components like wind and snow and storms whizzed around the room in a convincing manner. Music also used the speakers nicely, and the occasional “action scene” brought out good activity. Much of the series concentrated on environmental audio, but the track opened up to other information as appropriate. Quality appeared positive, with speech that felt natural and distinctive. Music boasted good range and impact, and effects appeared accurate and lively. The audio worked well and fell just short of “B+” standards. A few extras round out the set, and we start with A Look at the Characters. 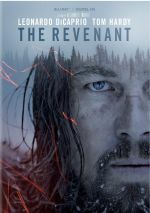 It runs three minutes, 40 seconds and includes notes from executive producers/writers Soo Hugh and David Kajganich and actors Jared Harris, Ciarán Hinds, and Tobias Menzies. The show offers basics about some of the main personalities. While it tosses out a few decent nuggets, it doesn’t tell us a whole lot. A Look at the Series lasts three minutes, two seconds and provides remarks from Harris, Hugh, Hinds, Menzies, Kajganich, historical advisor Matt Betts, executive producer Ridley Scott and actor Adam Nagaitis. We find a general take on the show’s overall narrative in this in superficial overview. Finally, Ridley Scott on The Terror fills two minutes, 27 seconds with the executive producer’s general observations about the series. This becomes a promotional clip without real substance. 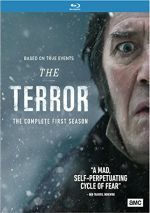 As a drama about survival in harsh conditions, Season One of The Terror works fairly well. While I don’t think it quite lives up to its potential, the series usually creates a reasonably involving piece. The Blu-ray brings pretty positive picture and audio but it skimps on supplements. Ultimately the series satisfies.